Hocket is named after a music technique that was popular in France in the 13th century, as well as in various music genres around the world (such as Uganda’s akadinda xylophone music, South African reed-pipe ensembles, handbell ringing, Indonesian gamelan, and Andean siku bands). The technique involves splitting up a musical line amongst several performers. In my Hocket, the choir is transformed into a kind of pitched drum kit. After a rhythmic pattern is assembled, melodies and then countermelodies are added. One thing I particularly love about choirs is the way that they can make a single entity out of many people. This piece is largely about that. 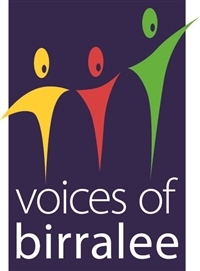 Commissioned by The Voices of Birralee to mark the 150th Anniversary year of Burke and Wills. In late June 1861, explorers Burke and Wills perished within days of each other, lying roughly 10km apart along the fertile banks of Coopers Creek where the Yandruwandha people had survived for more than 20,000 years. They had crossed the largest island in the world on foot, yet were beaten by the terrain less than 20km from the far North coastline. The impossible journey back to the centre of Australia found them abandoned by their support crew. Incredibly, after 4 months and 1 week of waiting and more than 3000km traversed, the two parties missed each other by just 8 hours, only 20km away. The words ‘DIG UNDER 3ft NW” etched into an ancient Coolibah tree, still visible 150 years later, symbolize a tragedy where fool-hearted determination, ignorance, stunning bravery, foolishness and plain bad luck resulted in the deaths of the two most famous figures of that time, along with five other men. The race to cross the world’s driest continent produced a fearless leader, a man in too much of a hurry to understand the country he walked. Blinded by the convention of his era, Robert O’Hara Burke can to conquer, not to learn. More than 600km from European civilisation, surrounded by desert, with lone survivor John King by his side, Burke died under a coolabah tree next to a waterhole known as Yidniminckanie. Contact Paul Jarman for more information. In 2009, The Southport School commissioned Mr Paul Jarman to write an anthem that would capture the spirit of the school and reflect upon past traditions, the present and our hopes for the future. In Paul’s typically collaborative and creative style, he set up a number of workshops with students that explored what they felt were the core values of the school and what should be represented in the lyrics. The result was a powerful and lyrical anthem that beautifully captures the spirit of ‘TSS’. ‘Band of Brothers’ was first performed on Anzac day in 2010 and reflects upon the sacrifices made by those that came before us and also rejoices in our hopes for the future which of course, lies with the fine young men you see before you today. The anthem has been firmly embraced by the whole school community and is performed regularly throughout the school calendar. When Annie first started writing this piece, she wondered how to tackle the subject material of the beauty and fragility of the existence of the Migaloo (and Bahloo). Migaloo, meaning “white fella”, is the Aboriginal name given to the larger of the two beautiful white humpback whales that frequent the QLD coast. Heavily protected because of their colouring, there are strict laws governing how close a sea or air vessel can get to them. Rather than approach this piece from an environmental/conservation point of view, Annie thought she would take the Migaloo as a symbol of being chosen to be unique and different. We are each chosen to be unique and given a unique set of gifts – some we immediately fill with our selves and spirit, some we need to grow into. The Migaloo is an example of a creature/entity that has been chosen to be different. This piece aims to celebrate our differences, recognise the difficulties they may present, and what it means to value our unique talents and choose to develop them. James’ aunty lived for years on a property up on the Atherton Tableland in the mountains near Port Douglas in North Queensland. There was just a tin-shed shack, an outside loo, some chooks and a beautiful mango tree. James’ mother showed him a photo of his grandfather there, visiting his daughter, sitting beneath the shade of the mango tree. He looked so content, having found a blissful sanctuary. He had apparently made a remark that he wanted to be laid to rest beneath the mango tree when the time came. However, when James’ aunty eventually sold the property and moved back to Sydney, and after the passing of the grandfather, the mango tree remained in solitude. Perhaps his soul had made his own way there. A few summers ago James’ aunty passed away after a battle with cancer. The Mango Tree comes from the hope that her soul has found her way back North, to her utopia. Her father calls to her when her days are done and she must return to earth. Her soul journeys over seas and mountains to meet him there once more, by the shade of the mango tree up North. The piece is dedicated to James’ mother. Migaloo – lit. “Whitefella”, named by Elders from the Australian Aboriginal community of the Hervey Bay area in Queensland – is an all-white adult male humpback whale first sighted off the Eastern coast of Australia in the early 1990s. He is part of the east Australian humpback population of around 12,000 whales. This population was around 30,000 before commercial whaling began, and as low as 104 when commercial whaling ceased in the 1960s. Special Queensland and Commonwealth legislation exists to protect him and sightings of him are eagerly anticipated every year. This work is a light-hearted attempt to discuss the trials of being a male in the new age. The media informs men about how to care for their skin, how to dress, how to treat a lady and even how to be sensitive, caring and nurturing. Many men simply want to play Xbox, watch Star Wars and hang-out with their mates. This song explores the complex conundrum between what men should be and what they would like to be. To be Thoroughly Modern, men need to be able to dance like Dancing with the Stars, cook like Masterchef and be able to enjoy the subtleties of herbal tea. Fun, simple and a not-so serious song, this work, explores the challenges of being a Thoroughly Modern Man through key changes, metre changes, and a variety of other mood swings. Contact Harley Mead for more information. Ben walked into the Avid Reader bookstore in West End, looking for work by local poets, and the perceptive bookseller handed him Bronwyn Lea's collection The Other Way Out. Ben opened it at random and the first poem he saw was Afterword. Ben fell in love with these three exquisite lines, and knew immediately he’d found something to write. The author, Bronwyn Lea, graciously gave her permission! Bronwyn’s words seemed inherently calm, but Ben sensed some unrest between the lines and the more he thought about the poem (which was a lot!) the restlessness gave way to yearning and longing and regret and resentment. This is what Ben has tried to capture in the song’s setting. The two pianists are used to drive the music forward without any sense of looking back. Ben comments that as a composer, it's a rare gift to find words that bring out something new in you and encourages everyone to read Bronwyn's other poems. Please! This song is a rousing homage to his alma mater. The opening flourish driven powerfully by an irregular metre emphasises the joy of singing. The middle section of the piece speaks of the reassurance of steadfast friendship using rich suspensions before returning to the initial injunction to us all to "Sing to the Stars". Richard has always loved this poem by Siegfried Sassoon and when the opportunity came for him to write a piece for St. Peter's College Choir, he knew this would be the text. For Richard it seemed dead right, given that the young men in the choir group would be about the same age as many of the lads who went off in such excitement to fight for their country in the Great War of 1914-18, only to be shot to pieces in the fields of France. The poem has a very subtle rhythmic scheme to it, which Richard also liked and allowed for a fluid approach to the musical setting. You Are By My Side is a setting of the Celtic prayer, the Cloud's Veil. The piece begins mysteriously and the travails of life are presented using intensifying vocal lines while "you are by my side", is repeated at a soft dynamic. O'Brien juxtaposes contrapuntal textures with homophony to represent the contrast between the challenges in our lives and the consolation of faith. This setting of Henry Lawson's poem "The Song and the Sigh" was commissioned by Barker College, Hornsby, NSW, Australia, for performance by The Blokes of Barker, conducted by Mr James Allington, at the 2011 Pemulwuy National Male Voice Festival, in Brisbane, Australia. The poem describes a creek that winds its way through the countryside with a broken song, passing under the sheoaks high, around the foot of the hillside brown, into the swamp of the Dead Man's Crime (where the curlews cry), then ever onward upon a song and a sigh. The setting comprises three continuous sections. The outer sections contain music of a vigourous nature, while the middle section depicts the hush of the swamp of the Dead Man's Crime. Inspired by the poet's image of a wandering creek, Matthew scored a prominent melodic line which runs the length of the work. Matthew gratefully acknowledges Barker College for commissioning the work and warmly thanks Mr James Allington and The Blokes of Barker for affording the work its world premiere performance.